Ugly day in China. The excitement around a supposed move by the PBoC to unleash a monetary response to the slowing economy has faded, the bounce was sadly of the deceased feline variety. 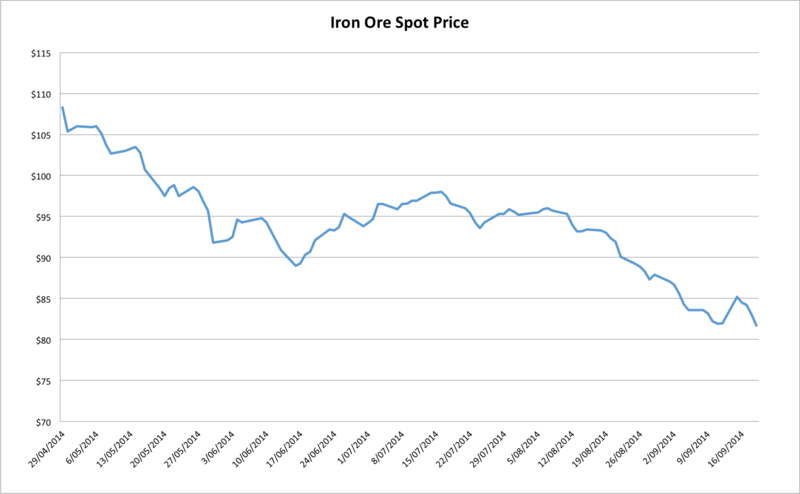 Rebar and Dalian iron ore futures have been crushed today, as Reuters details. 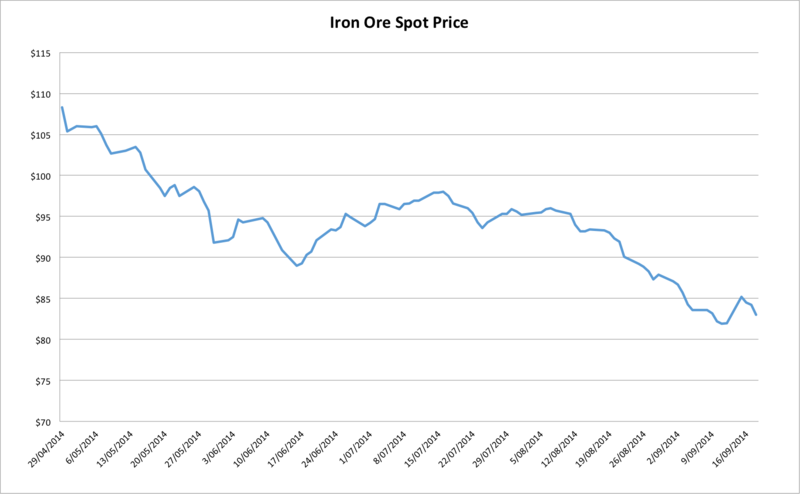 Little chance of avoiding a new low for spot iron ore now. Update: spot slumped to $81.70 (corrected from $81) on friday, a new low. This entry was posted in Uncategorized on September 19, 2014 by MJV.